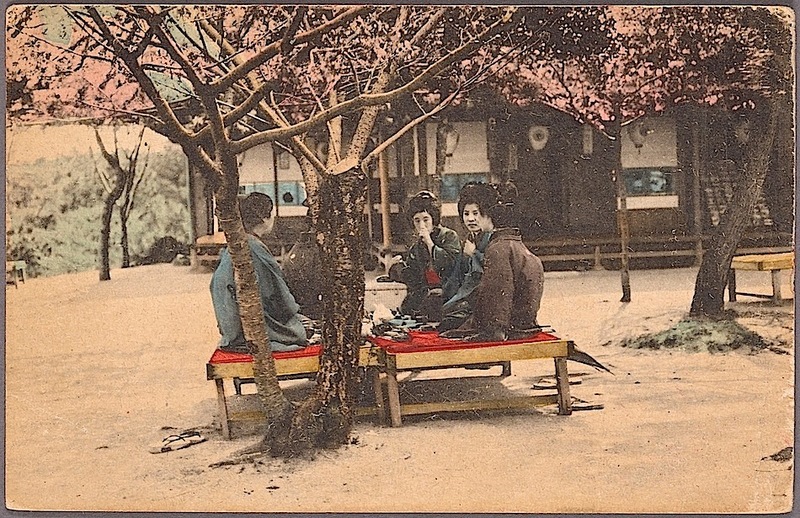 “Picnic-style tea ceremony,” Japan, ca. 1900, a hand-colored postcard, via The New York Public Library. It may be a “ceremony,” but I think it’s more likely an informal bite to eat after a long walk under the cherry blossoms — with lots of conversation. Next Post The Sunday porch: East Hampton, N.Y.